Whether you plan on relaxing in Bali villas or you want to get out and explore the world, you will soon learn there are some gadgets you just can’t live without. While, of course, you won’t be going too far without a camera to capture all those memorable moments, there are also other gadgets that you should pack for your travels as well. We have included five must-have gadgets for travel below. While less necessary if you plan on checking into Bali villas and relax on white sand beaches, anti-theft backpacks are a must-have gadget in densely populated areas. Not everyone is averse to theft, and if you have “tourist” written all over you, you are more at risk. To reduce the risk of being a victim and losing your possessions, an anti-theft backpack can help. They include hidden zips and other safety features to deter would-be thieves. Catching a bit of shuteye on a long-haul flight is easier said than done, especially if you end up being the lucky one sitting beside an unsettled baby. As long as that baby is not your own, you can mask the sound with noise-cancelling headphones. Put on your favourite tunes, a podcast, or even a movie, and drift off to sleep without even the sound of the food trolley being enough to wake you from your slumber. There is no denying that smartphones are one of the best inventions ever made, but their battery technology is not quite there yet. Therefore, it’s rare to get a full day’s use out of one battery charge. Rather than be stranded without your phone in an unfamiliar country, carry a portable power bank. Charge it back at the Bali villas or hotel room, then plug your phone in while you traverse the streets. The power supply varies from one country to the next, as does the plug type. As a result, it’s not uncommon to feel entirely disappointed when you arrive in a country with a whole lot of electronics you can’t use. However, you can prepare yourself in advance by purchasing an international power adaptor. While you do need to make sure your devices can handle the voltage, you have a better chance of success if you can use an adaptor. If you plan on visiting a non-English speaking country, or a country with both English and non-English speakers, then a portable translator is a must. Given the unreliable battery life of a smartphone, you can’t always rely on it to have enough charge to translate conversations for you. However, with one job to do, an electronic portable translator can do the job and do it well. Many also provide two-in-one functionality, allowing you to hold a conversation with someone who doesn’t even speak your language. 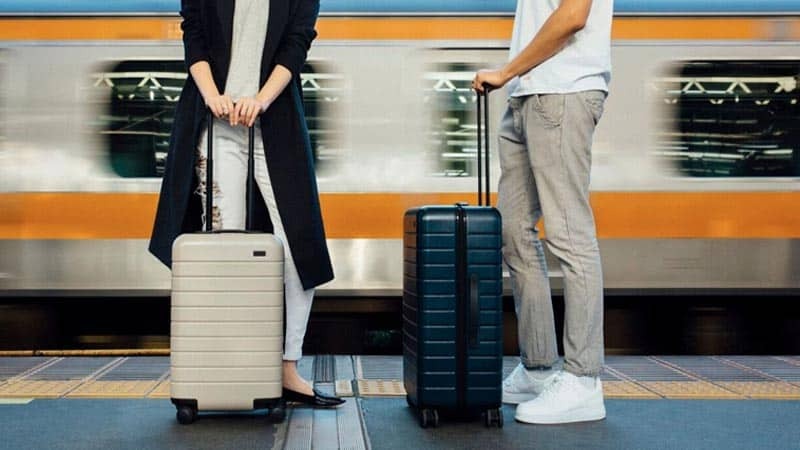 The world is full of handy gadgets, but who would have thought there were some dedicated to making your travels easier? Whether you’re relaxing in Bali or spending time in busy towns and cities around the world, make sure you have these five items with you.